When it comes to getting an offer, product-based businesses are the more successful. Sharks prefer products in the food and beverage, household and kitchen, or sports and fitness categories. The entrepreneur MUST “know the numbersâ€ such as sales, profit, and margins. The business must be highly scalable and have high profit margins. The business should be fairly established (rather than brand new or just at the idea phase). The sharks are likely going to want 20% — 25% or more in equity. The sharks have a sweet spot for anything that is proprietary and has the option to be licensed. 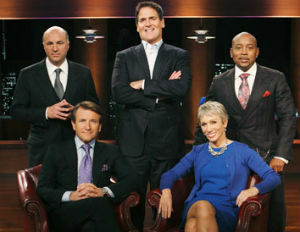 If the entrepreneur presents several of these qualities effectively, it’s likely they will leave the Shark Tank with a big catch. Check out the infographic below.